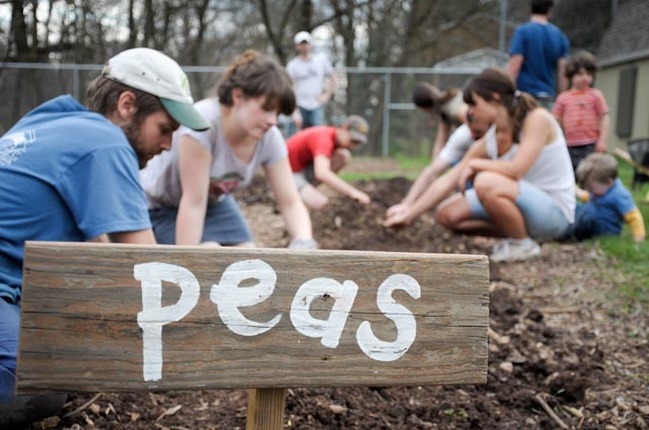 ​Ballfield Farm (BFF) is run by member-volunteers from the area and in cooperation with The Pittsburgh Project. Members are food enthusiasts, community advocates, friends, family and neighbors from all walks of life, both expert gardeners and newbies, who are working cooperatively to maintain a former ball field converted into collective growing space. In exchange for a small monetary investment and a few hours of work per month, members are able to provide food for their own families as well as neighbors in need. All that while enjoying a growing sense of community and learning more about how to feed their families in an economic and sustainable manner. This site is a place for us to share in our love for urban farming. Take a look and if you decide you'd like to be a part of Ballfield Farm, simply fill out the form on the Membership page, and join us at the farm. Thanks, and welcome! What is The Ballfield Farm? Ballfield Farm (BFF) is a neighborhood project collectively growing organic food together on Pittsburgh's North Side. We are located near the corner of Danbury and Crispen Streets in the Perry South neighborhood of Pittsburgh's North Side.